The Battleship Iowa Innovation and Engineering Team will exercise the ship’s legacy radios on January 26 from 1700 to 2000 UTC. 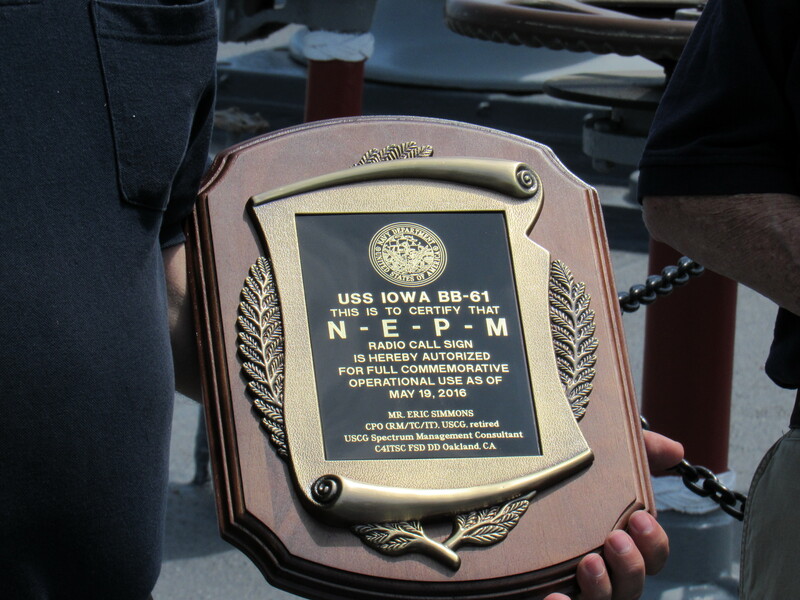 The call sign activated will be NE6PM, a variant of the ship’s Navy call sign NEPM. Operations will be SSB/J3E only as the gear is circa ’80’s vintage, it not easy operated on CW/A1A and requires 5 persons to support one Q.
Frequencies will be 7191 and 14243 KHz plus or minus QRM or band activity. QSL to NE6PM per address and info on QRZ.com.